I had an awesome time presenting at the Museum of Contemporary Native Arts in Santa Fe today. It was part of a new series called "Private Practice," and my presentation was titled, "The History of Native Fashion at IAIA: Creative Adaptations of Age-Old Practices, Rebellious Fashion Statements, and Powerful Performances of Indianness." The Institute of American Indian Arts incorporated clothing and textile courses into their curriculum since the school’s inception in 1962. 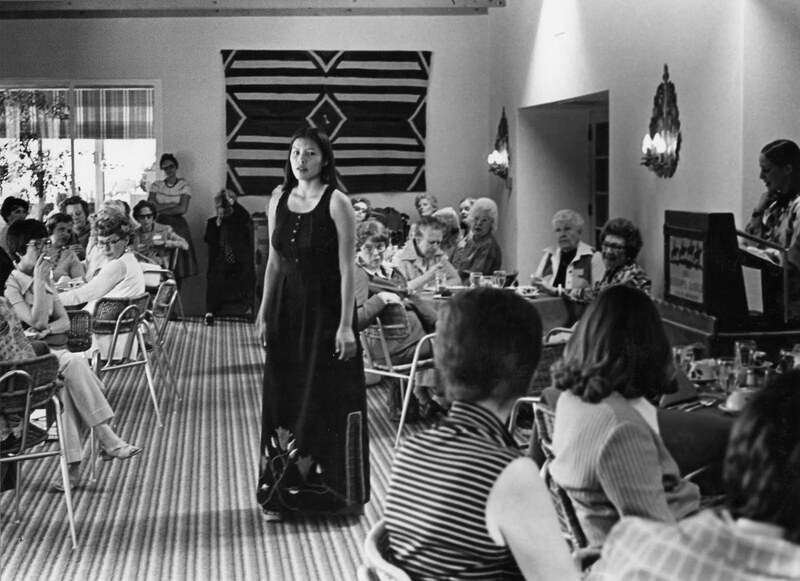 IAIA’s design program, which may count among the most significant fashion curricula in the U.S., has never been fully researched and acknowledged for its valuable contribution to the fashion world. This presentation, which explores the textile and fashion program that emerged at IAIA in Santa Fe in the 1960s, fills this hole in our knowledge. This story begins with IAIA co-founder Lloyd Kiva New, who was a successful fashion designer in Scottsdale in the 1940s and 1950, and follows through with important figures such as Josephine Wapp, Wendy Ponca, Marcus Amerman, Patricia Michaels, and Pilar Agoyo – all of whom play an important role in bridging the well-documented Native clothing design of the late 1800s with current design, and link mainstream fashion with Native couture. An influential institution, IAIA has produced some of the most avant-garde of contemporary Native designers.